The road to StoneRidge is is on the West side of Kaady Car Wash (between Sunset Presbyterian Church and Kaady Car Wash). ** NOTE ** The road on the East side of Kaady Car Wash goes into a DIFFERENT apartment complex. This is a Pot Luck dinner. 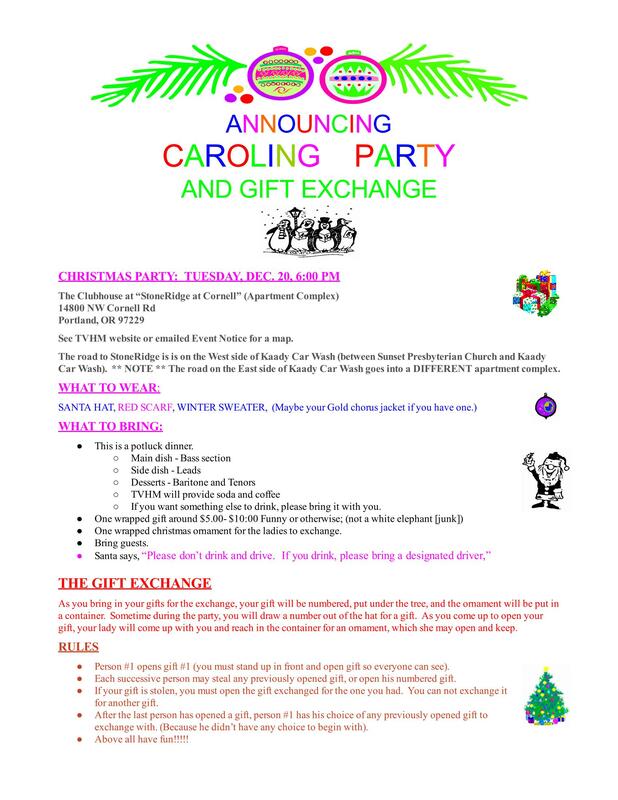 Plan to bring some food and a "White Elephant" Gift. For more information see the Christmas Party poster.